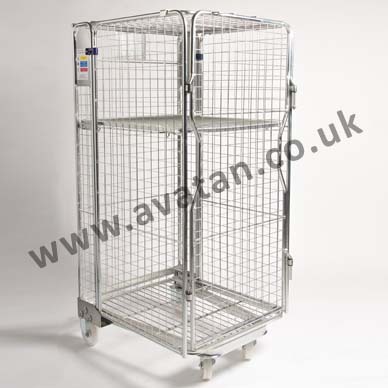 Avatan carry stocks of standard Nestable Roll Containers generally available for immediate hire. Security nestable roll containers with mesh sides, integral hinged mid height shelf, secure integrally hinged lid and lockable front gates, are available for long or short term rental. 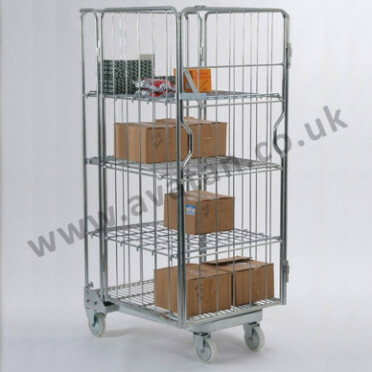 These versatile roll cages are routinely used by the retail sector for transportation of goods from distribution centres to point of sale. 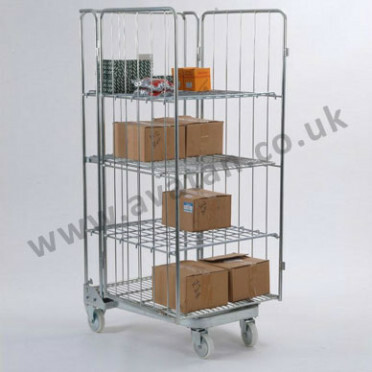 These are an ideal short term rental product for factory and work place relocations. When folded flat and nested, these may be economically transported throughout the UK with up to 150 roll containers per trailer. Three sided and Four sided roll containers may also be supplied on hire subject to availability and proposed rental period. Please ask for further details.